Crazy golf bar Junkyard Golf Club is set to open in Leeds. The golf experience - which also has sites in London and Manchester - is opening in The Light on September 27. It will have three nine-hole courses designed using reclaimed items from scrapyards. 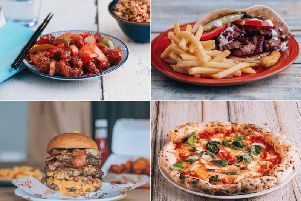 There are four bars spread across the courses, a disco room, selfie booth, cocktail menu and American food such as party rings, popping candy, hot dogs and nachos. The course themes are circus, disco scrapyard and jungle. Another adventure golf experience, Jungle Rumble, opened on Great George Street earlier this year. Tickets for Junkyard Golf are now on sale.